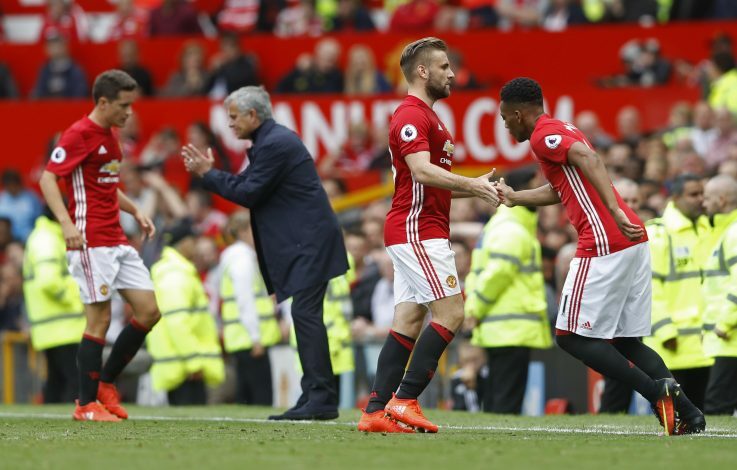 Jose Mourinho insists he doesn’t want to force Luke Shaw out of Manchester United at the end of this summer and assures the young defender will be handed ample opportunity to show he deserves a long-term future at Old Trafford. 21-year-old Shaw has had only six Premier League starts under Mourinho this term as he continues to struggle in search of form and fitness following a horror broken leg which ruled him out for nearly all of the 2015/16 campaign. The £27million left-back will be given a rare start in the FA Cup fifth round at Blackburn Rovers and Mourinho also had some encouragement for the Englishman who it is believed has become increasingly frustrated at appearing to fall behind Daley Blind and Matteo Darmian in the pecking order. “What I think is that he had a very ugly injury, really ugly, that affects players not only from the physical point but also the mental impact,”said Mourinho. “He has had a couple of small injuries this season and needs to adapt. He knows what I like in a defender, he knows that I like stability, that I don’t like mistakes, that for me it is to trust a player totally and he has to work to get it. Shaw won the last of his six England caps 18 months ago and has not been involved in the Red Devils’ last four fixtures since their previous FA Cup tie against Wigan.